Time for the ODSTs to shine. During the events of Halo 2 the Covenant launch an attack on the African city of New Mombasa, Earth. 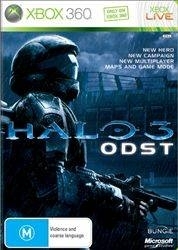 In Halo 3: ODST you play as a nameless rookie; the newest member of an ODST squad which is deployed to defend that city. However, just as the squad launch their drop pods, a Covenant ship positioned directly above the city decides to retreat from battle using a Slipspace jump. The resulting shockwave devastates the city below, and separates the ODSTs by throwing their pods off course. Our rookie is knocked unconscious in the chaos and awakens to find the city in the dead of night, occupied by patrolling Covenant forces. He tasks himself with finding clues as to the whereabouts of the rest of his squad and the events that unfolded whilst he was unconscious. This is perhaps the most compelling, story-driven Halo campaign thus far. I felt a sense of nervous isolation when I initially played as the rookie; you’re on your own, seemingly behind enemy lines and under-equipped, and you’re made well aware of that fact. Of course, these feelings don’t persist and the illusion is shattered because you’ll soon be engaging the enemy, despite the increased focus on stealth and strategic engagement, but what does persist is the eerie atmosphere of this once thriving city, now occupied by the enemy and shrouded in darkness. This may sound quite dark and very un-Halo like, and that’s because these sections where you play as the rookie are dark and gloomy, both literally and metaphorically, but they work well to create a Halo story which is much more personal and cohesive than that of previous games in the series. The quasi-stealth sections where you play on your own as the rookie don’t of course comprise the whole game, or even most of it for that matter. You’ll frequently trigger flashback cut scenes when you discover a clue essential to your piecing together of the story. These short cut scenes introduce the story of one of your fellow ODST squad members. You then play out the events revolving around that squad member after they crash-landed on the planet. 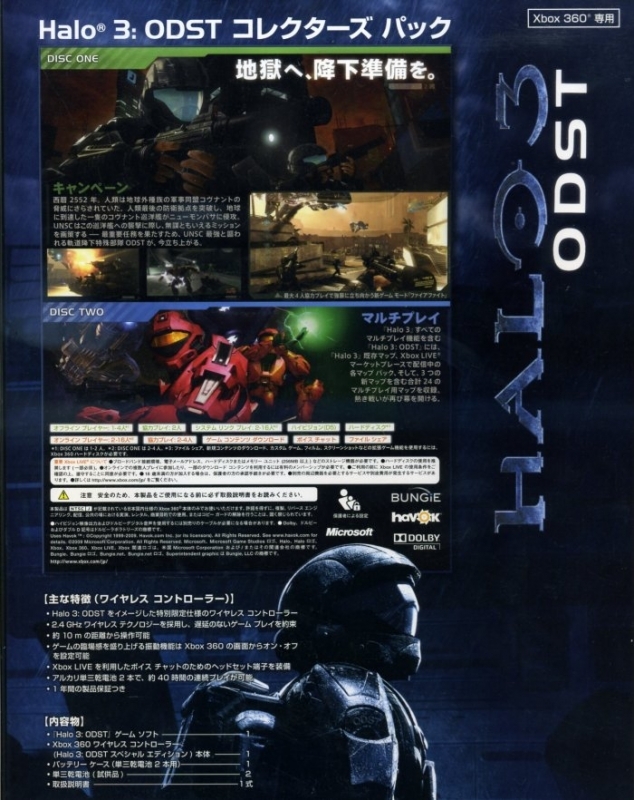 The focus here shifts towards a much more traditional Halo mission structure, often set during the previous day, with multiple characters interacting and fighting alongside each other, and with a renewed focus on head-on combat. Whilst the ODSTs can’t dual wield, jump from great heights without harming themselves, and don’t have fully rechargeable health, the gameplay really doesn’t feel much different from previous outings as Master Chief at all. 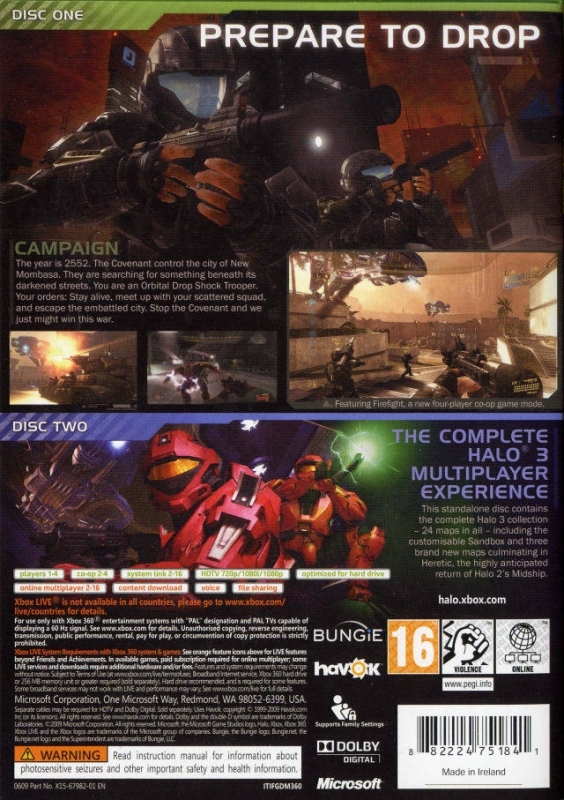 There’s some new weaponry at your disposal, including a silenced SMG and the return of a pistol with zoom, there are the stealthier night-time segments where you play as the rookie, as well as the minor aforementioned handicaps to being an ODST, but none of this changes the series’ gameplay in a fundamental way. 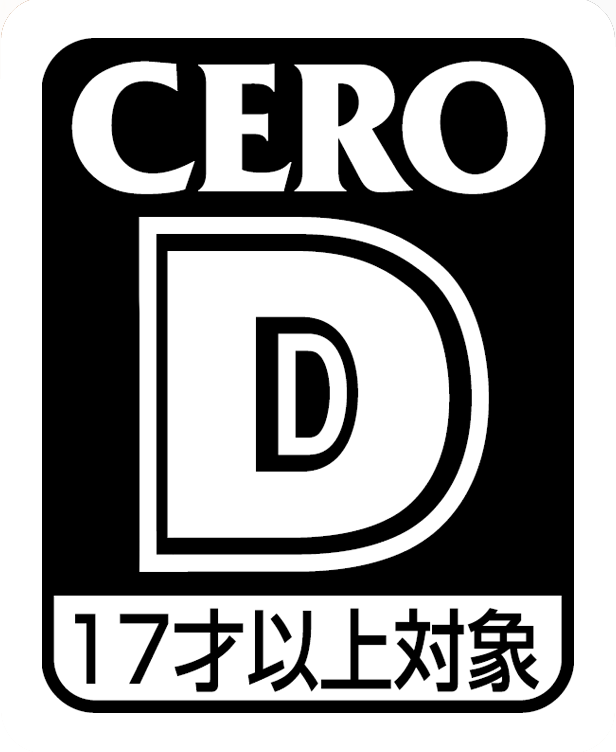 As with the gameplay, the graphics are also divided into two very different experiences. The time spent as the regular ODST squad members is very much reminiscent of previous Halo outings. All of the locations are of course set within the city, but this doesn’t hold back the variety of locales - from a cityscape rooftop level which draws many parallels with Mirror’s Edge, to an abandoned nature reserve, and of course the usual array of vehicle-based levels. The traditional Halo art style and colour palette is very much on show here. 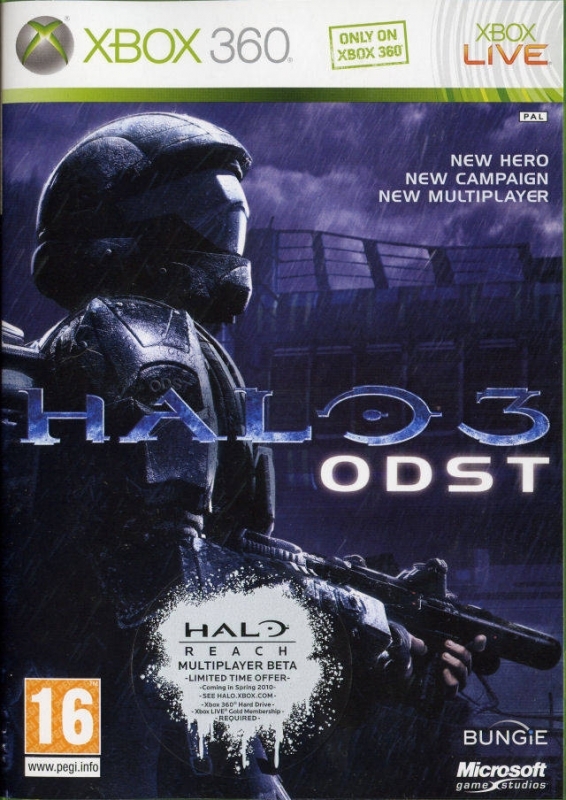 On the flip side, when you play as the rookie the game is shrouded in darkness, which is then alleviated slightly through the use of the ODST VISR, which brings with it its very own unique art style. This highlights all objects in the near vicinity with coloured outlines, which allows you to more easily spot items of interest in the darkness, including enemies. As I said above, these sections don’t feel like the Halo we’re used to, which makes for a unique experience. These parts of the game are punctuated by a brilliant sense of atmosphere, which is in turn perfected through the use of some outstanding music. However, whilst these parts of the game initially come as a pleasant and unexpected surprise, they soon become far too repetitive in terms of both the mission structure and the locations you explore. The art style also beings to become oppressive; something which drags the campaign down towards the end. As far as the graphics are concerned, there doesn’t appear to be much improvement over Halo 3. The art style is distinct and the atmosphere well crafted, but this is a game which looks slightly dated graphically, and there’s no getting away from that. However, I save the worst of my ire in this respect for the cut scenes. Dear me, what happened with the cut scenes? Halo fans were clearly spoilt by Ensemble with those absolutely gorgeous cut scenes in Halo Wars, but we’ve been brought back down to earth with a bang by Bungie when it comes to ODST because the cut scenes here are not pretty at all. The cut scenes aren't necessarily ugly, but they're not exactly what you expect from the 360's leading franchise either; they are behind the times and represent a clear step backwards for the series. Overall, the audio is my favourite part of the presentation. 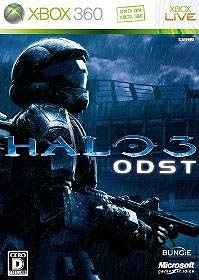 Halo games have always had great scores, but ODST’s is a notch above even those - it’s truly superb. With the graphics engine starting to show its age the audio really comes up trumps to help craft a convincing atmosphere. Those sections where you’re on your own in the city at night come alive thanks to the subtle and varied music. The voice acting is pretty standard fare – nothing standout in that regard, and the dialogue for the main characters is bland (although there’s a side story consisting of audio logs which is well worth checking out). The campaign should take around five hours or so to complete on your first playthrough, although this will vary wildly depending on the difficulty setting select. As with Halo 3 you get the choice of easy, normal, heroic or legendary, as well as a selection of skulls to choose from if you so wish. As I mentioned in the previous paragraph, there’s a side story which is told through audio logs. There are 30 audio logs to collect in total, and you can go back through the city once you’ve completed the game to collect any you’re missing. This will add another hour or two to the campaign’s length if you use a guide to locate them, or the sky is the limit if you don’t. 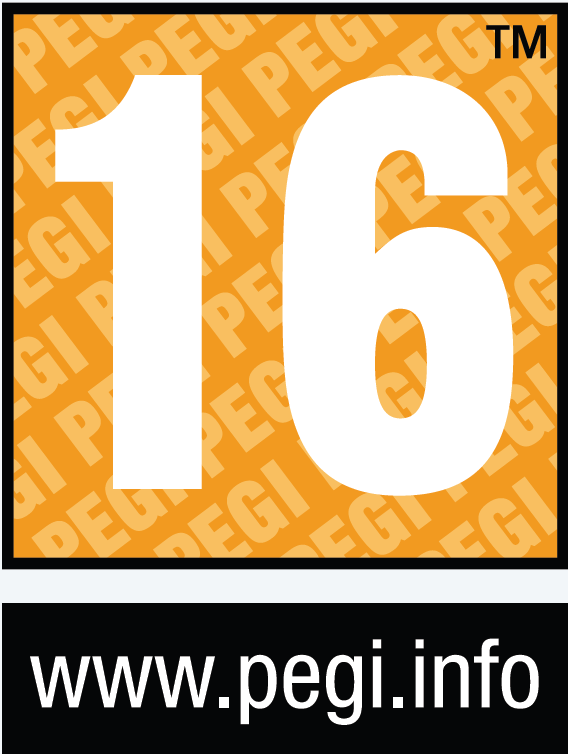 You can of course also play the campaign cooperatively, with two players offline or up to four players online. 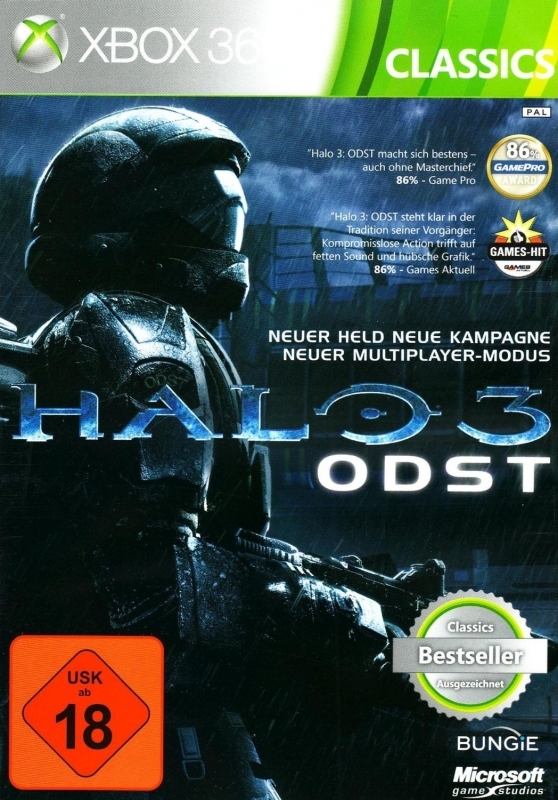 The other main chunk of content unique to ODST is the Firefight mode, which again supports up to four players, as well as the four difficulty settings and the skulls. There are 10 maps to choose from in total, each one drawn from a different part of the campaign (although two of the ten are duplicate maps set at night). The set-up is hardly unique nowadays, but addictive nonetheless – you’re dumped in a map, given some default weapons, and then tasked with fighting against wave after wave of increasingly difficult Covenant forces and scrounging the weapons they drop. The team as a whole has a pool of lives to draw on, so if one player is dying all the time that will adversely affect the whole team. What makes Firefight more engaging and addictive than many other variants of this game type is the use of skulls. As you work your way through the different rounds various different skull combinations are triggered, which means the gameplay remains varied. For example, with the Tough Luck skull active enemies will be extremely adept at dodging slow weapons fire, like grenades and rockets, or with Black Eye skull active you can only recharge your stamina (read: shield) by successfully melee attacking an enemy. With each different skull combination you’ll be challenged in a drastically different way, and you’ll have to mix up your gameplay strategy in order to be successful. Combine all of this with some great enemy AI, reams of post-match stats and scores to scrutinise (both in-game and over at Bungie’s website), and you’ve got one hell of a survival mode on your hands. There’s just one problem, and it will be game-breaking for many. 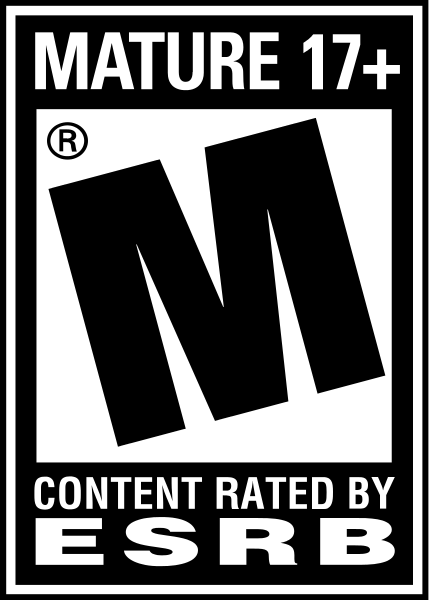 There’s no online matchmaking system for Firefight (or the campaign for that matter). What this means is that you’re not able to set up a match with random people over Xbox Live - you can only play with people you invite via your friends list. That’s one hell of an omission. If you don’t have a friends list full of active ODST players then your best bet is to head over to one of the many popular Xbox 360 of Halo sites out there and post in a Firefight sign-up thread, but you really shouldn’t have to go to these lengths just to get a match going. 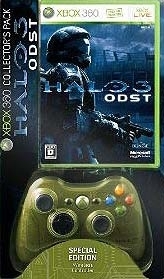 What makes Halo 3: ODST hard to score in the value department is the inclusion of the second disc. 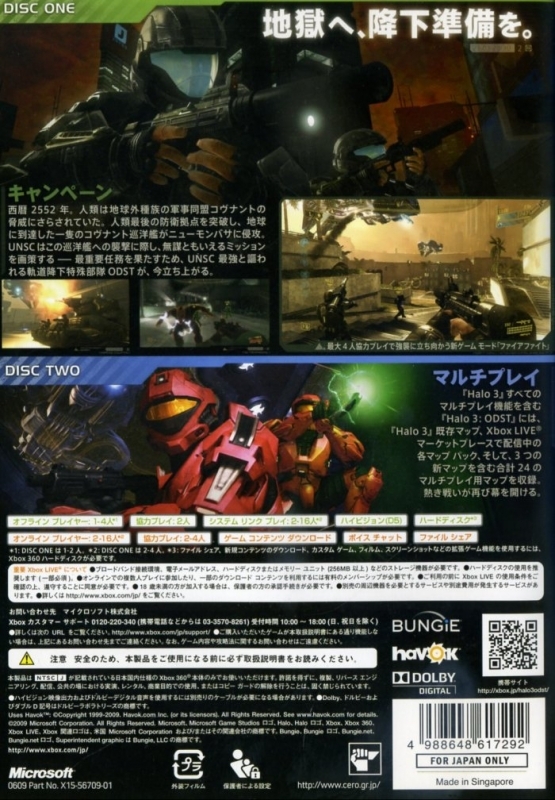 Disc two contains the complete Halo 3 multiplayer experience (and no, you don’t need to own Halo 3 in order to access the content. This is completely standalone). That means all of the multiplayer maps and modes from Halo 3, all of the DLC, three new multiplayer maps (bringing the overall total to 24), Forge, and the various theatre options are all included. The problem is that the only new content comes in the form of the three extra maps - everything else is taken straight out of Halo 3 and its subsequent DLC, so if you already own Halo 3 then the added value of the second disc is negligible at best. 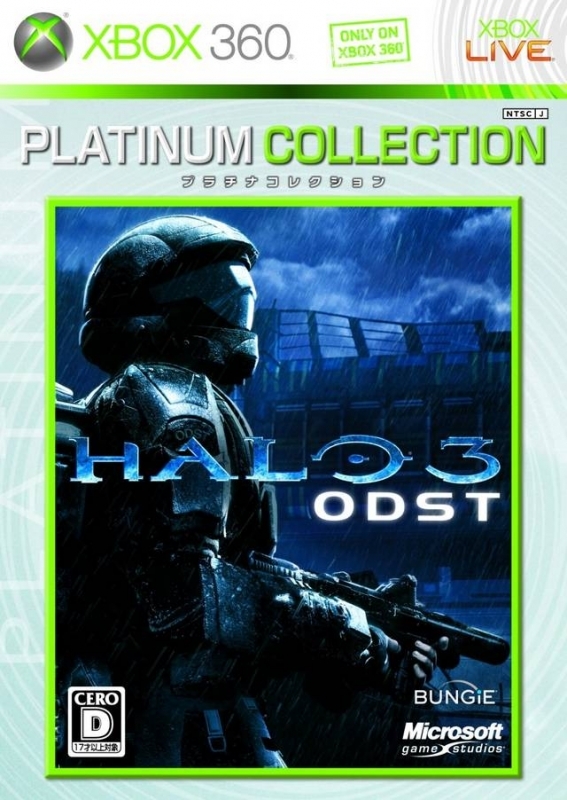 If you don’t own Halo 3 then I would add a couple of points to the value score you see here and make it a 10 in that department, but as I expect most of those interested in ODST either own or have owned Halo 3 at some point, the second disc is little more than a nice bonus. 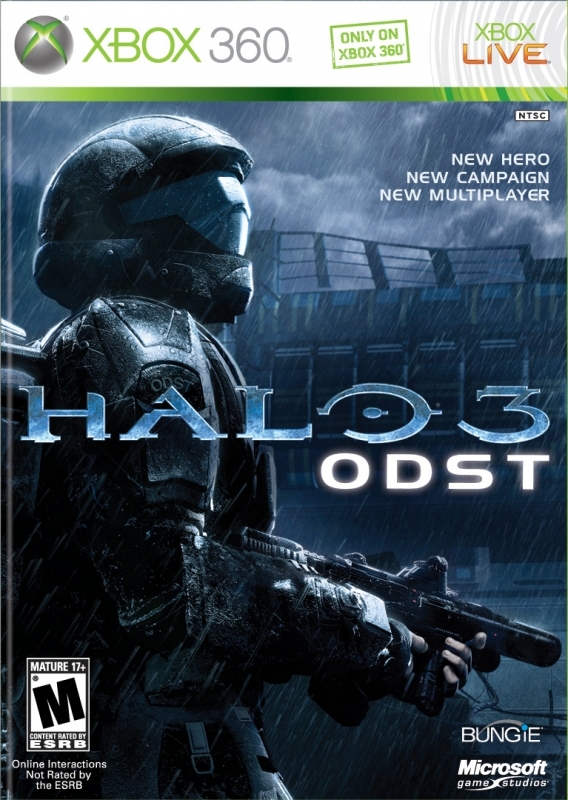 With Halo 3: ODST you get the most story-driven Halo campaign yet; one with a great atmosphere and the best Halo music score to-date. The graphics engine is showing signs of its age, and the cut scenes are inexcusably bad, but ODST brings something new to the series with its atmosphere and VISR art style. 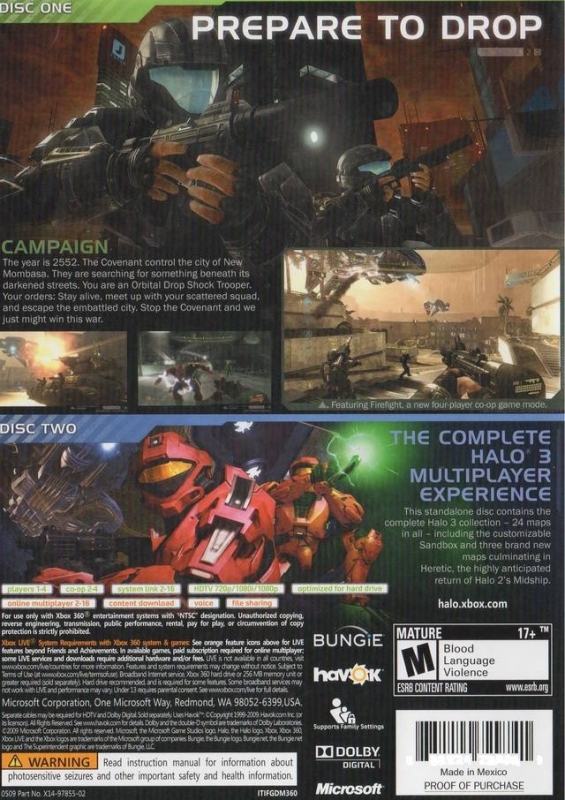 You also get the complete Halo 3 multiplayer experience thrown into the mix. However, it’s Firefight that seals the deal. Even if you already own Halo 3 you’re going to want to check this mode out; there’s no matchmaking system for it though, so you will need Halo friends, which isn’t something we all have, but if you’re a Halo fan with friends you don’t want to be left out now, do you?